Oswego County STOP-DWI Coordinator Robert Lighthall announced today (May 22) that Oswego County police agencies will participate in a special enforcement effort to crackdown on impaired driving. The statewide STOP-DWI Crackdown efforts start on May 22 and will end on May 28. Memorial Day week is historically a deadly period for impaired driving. Memorial Day weekend is the traditional beginning of summer. In addition there will be thousands of parties and barbeques to celebrate graduations, proms, communions, and confirmations. This combination of factors equates to more people on the road in general and more people specifically driving impaired. The New York State Police, County Sheriff and municipal law enforcement agencies will collaborate across the state and will be out in force in this coordinated effort to reduce the number of alcohol related injuries and deaths during this period. 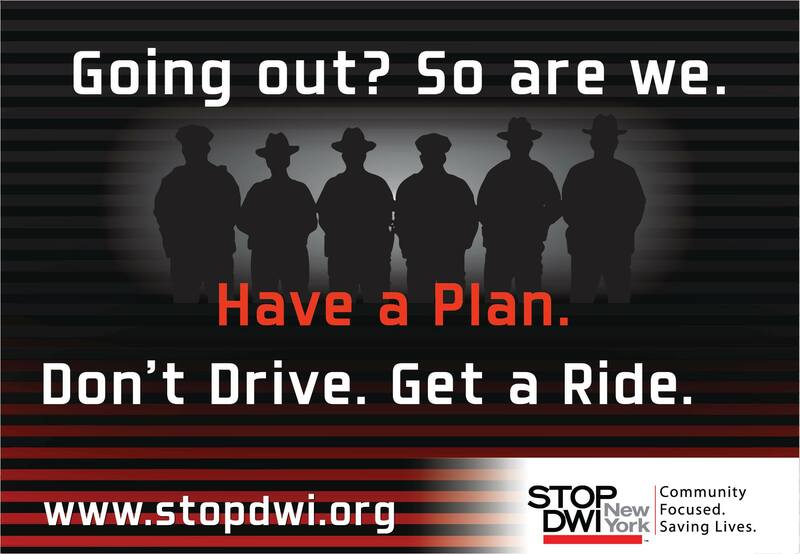 The Memorial Day Weekend Crackdown is one of many statewide enforcement initiatives promoted by the New York State STOP-DWI Association. The Statewide STOP-DWI Crackdown Campaign also targets 4th of July and Labor Day Weekend, Halloween and the national Holiday Season in December. “Have a plan before you go out. 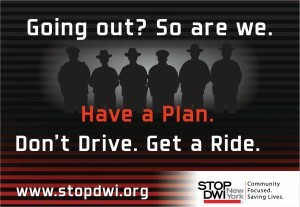 Have a designated driver, call a friend, call a cab, just don’t drive drunk. Unfortunately, not only does drinking impair your ability to operate a vehicle safely, it also impairs your judgment and good sense about whether you can, or should drive. Know how you are getting back home safely. If you do chose to drive impaired, you will be arrested. No warnings. No excuses,” Lighthall said. While STOP-DWI efforts across New York have led to significant reductions in the numbers of alcohol and drug related fatalities, still too many lives are being lost because of crashes caused by drunk or impaired drivers.